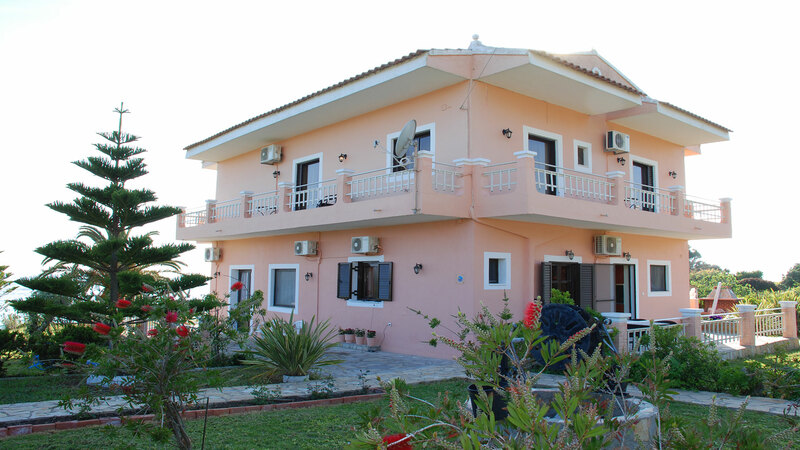 Corfu Villa Memos are located near a quiet sandy beach called Skidi. We provide convenient parking spaces, a beautiful garden, outdoors dining facilities and a fully equipped barbeque grill. The building is located in the centre of the garden and the balconies and verandas in all of its sides overlook both the sea and the mountains, thus giving the opportunity to the visitors to enjoy both views. The building consists of two apartments, one on the ground floor and one of the first. The ground floor apartment contains two double bedded bedrooms and one bedroom with two single beds and can accommodate up to six people. Moreover we provide a large fully equipped kitchen, including a dining table, a comfortable living room and two bathrooms. The first floor apartment can accommodate up to four people in its two bedrooms containing a double bed and two single beds respectively. We also provide two bathrooms and a large fully equipped kitchen with a dining table as well as a comfortable living room. 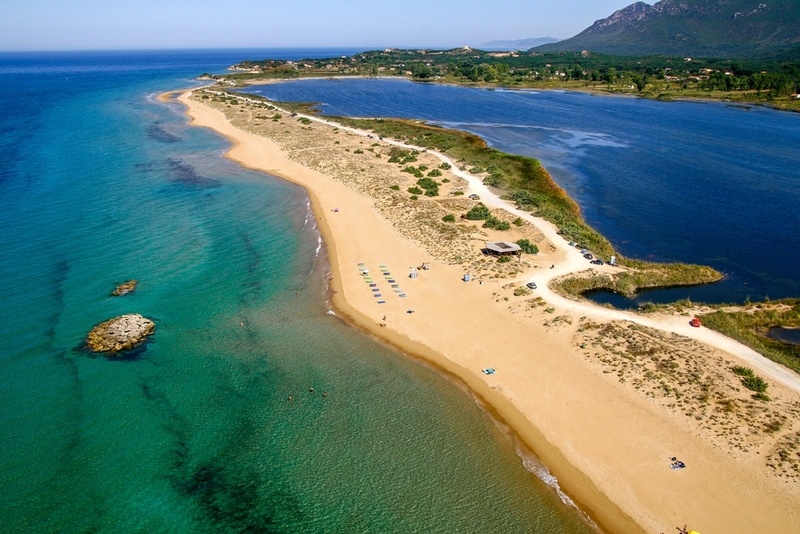 Villa Memos are also located very close to the beach of Chalikounas with its beautiful lagoon, the beach of Prasoudi, which is right beside Skidi, as well as the beach of Paramonas. Driving for about ten minutes can lead you to the traditional village of Saint Mattheos or one of the holiday resorts Moraitika or Messongi.